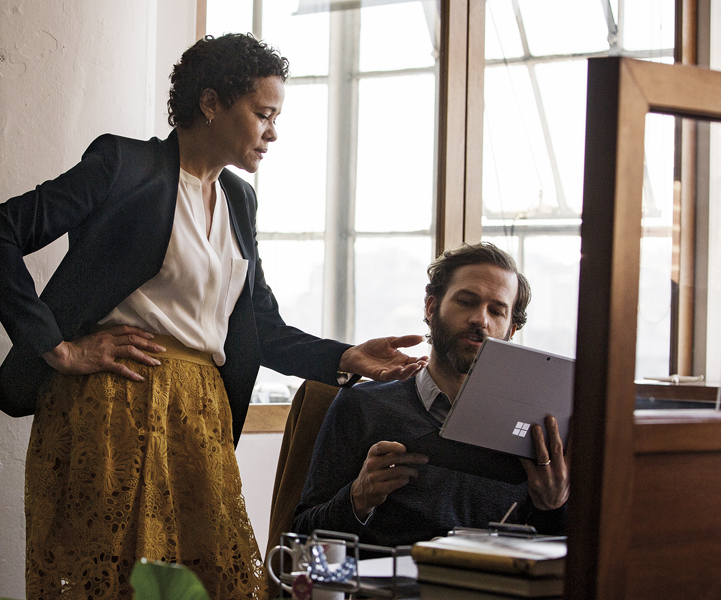 Increase productivity with Office apps enhanced with the latest AI tools and online file storage. 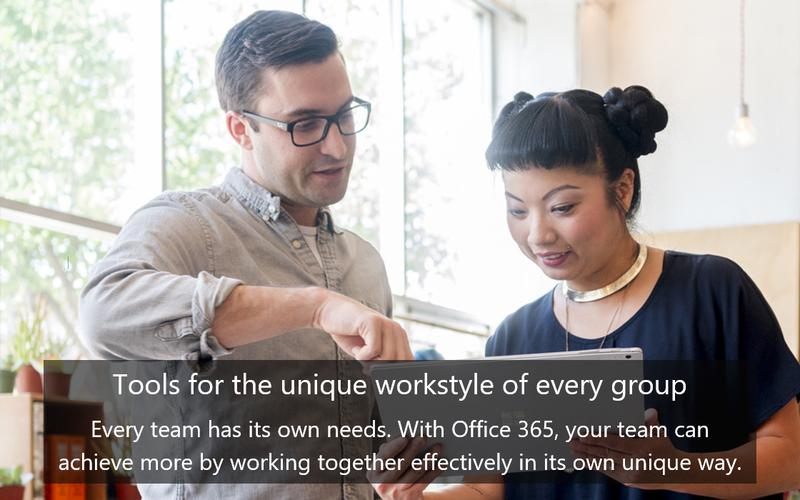 Collaborate, share and communicate with flexible tools that go where your team goes. 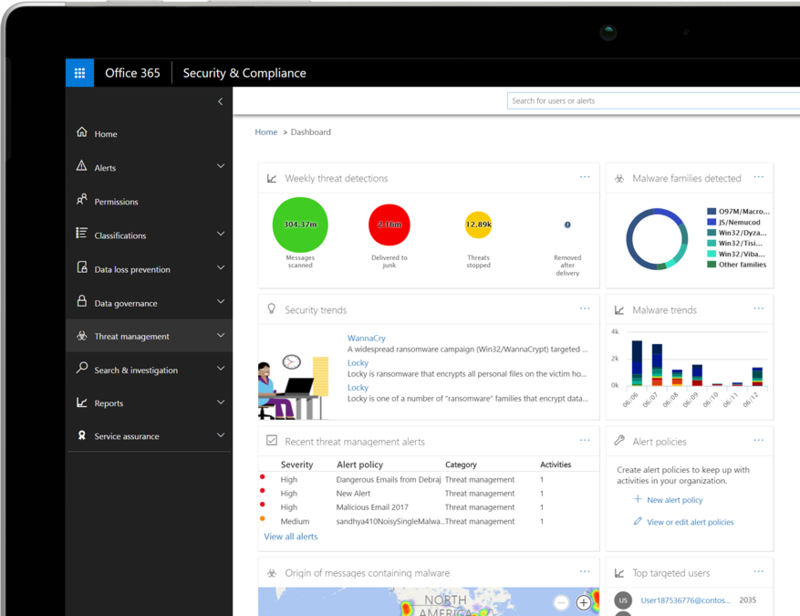 Have confidence knowing that your Office 365 subscription comes with 99.9% uptime guaranteed and 24x7 technical support by a global network of experts. 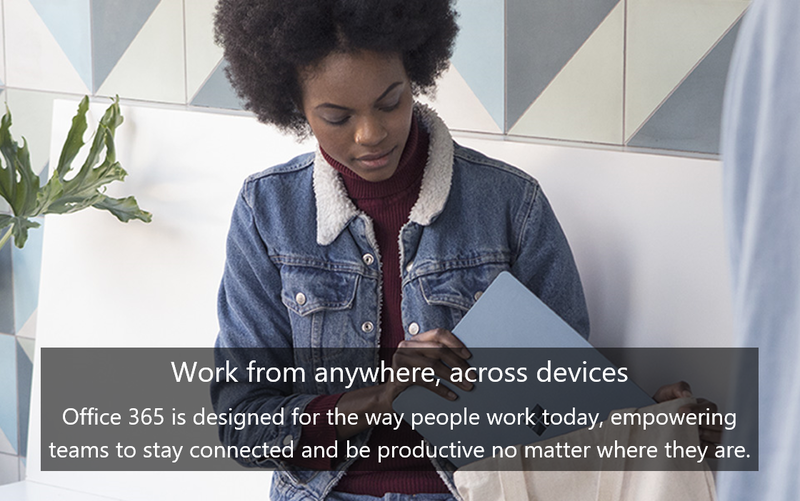 Work anywhere, anytime, on any device. Office is ready when you are. 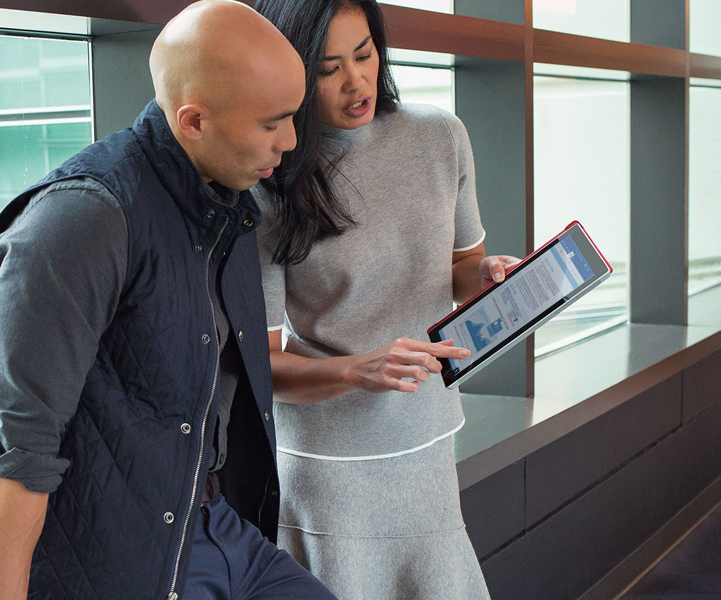 Whether you’re working in your office or on the go, you get a familiar, top-of-the-line set of productivity tools. 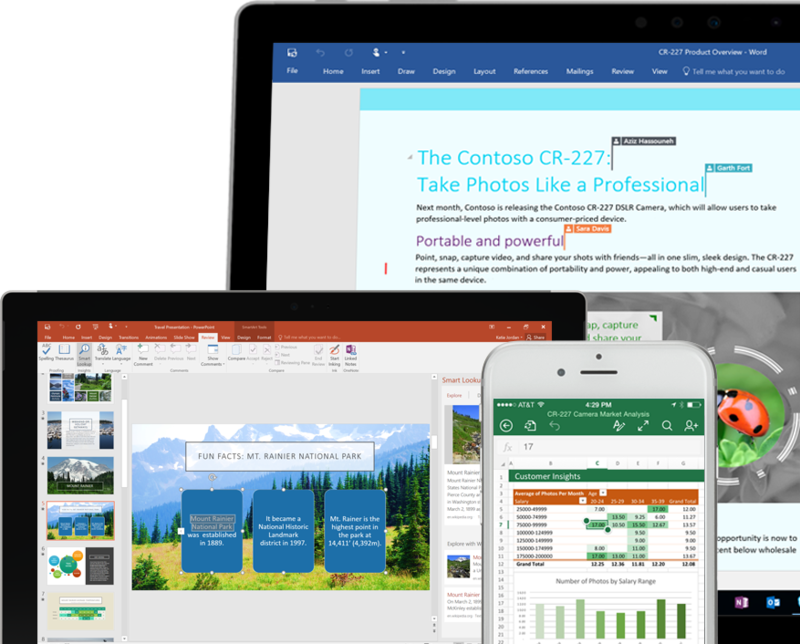 Office applications —updated monthly with exclusive features and security improvements—let you create, edit, and share from your PC/Mac or your iOS, Android™, or Windows device with anyone in real time. 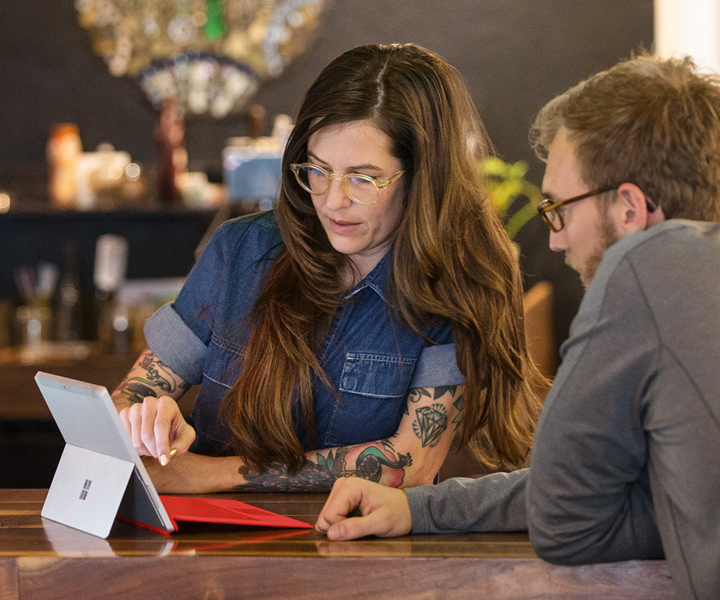 With 1 TB of cloud storage per user, you’ll have plenty of space for all your files. 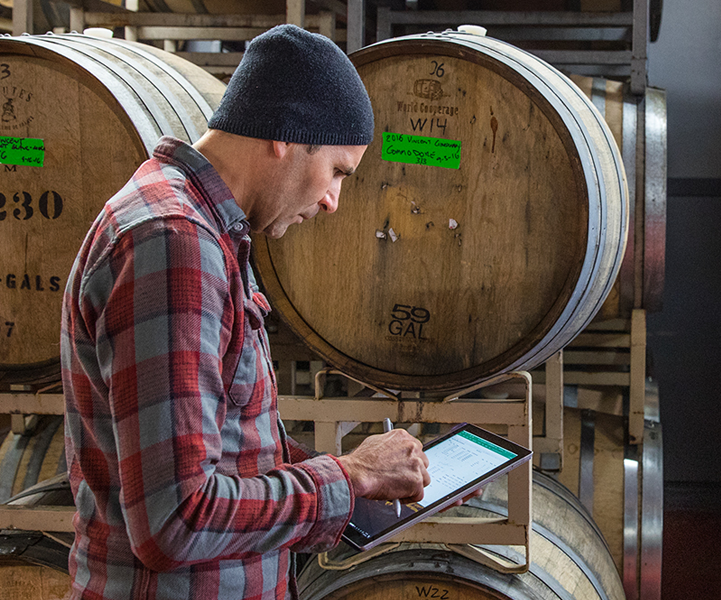 Plus, because your files are stored online, you can share with people in or outside your company, from wherever you’re working, whenever you need to. And with multi-party HD video, content sharing, shared calendars and team chat, you’ll always be in sync with your team. With step-by-step guidance, you can set up users easily and start using the services fast. 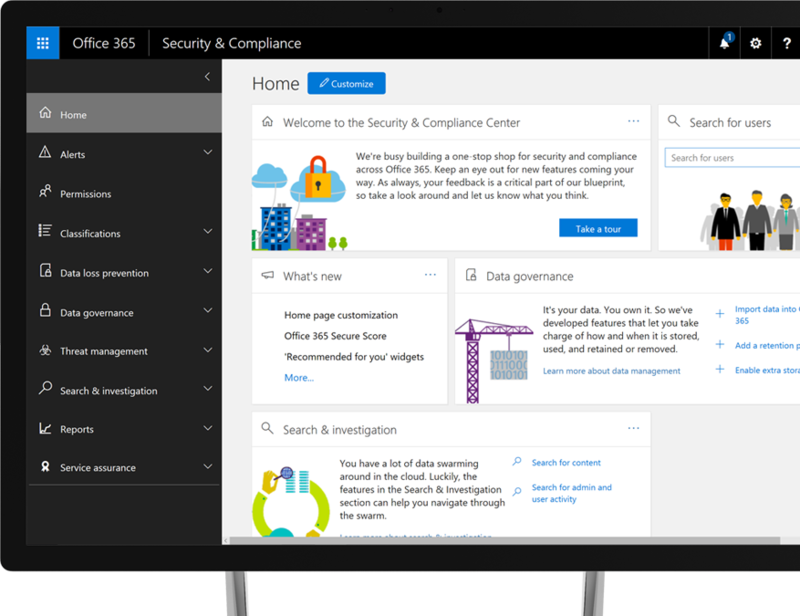 Access the easy-to-use admin center from anywhere to manage all your services. 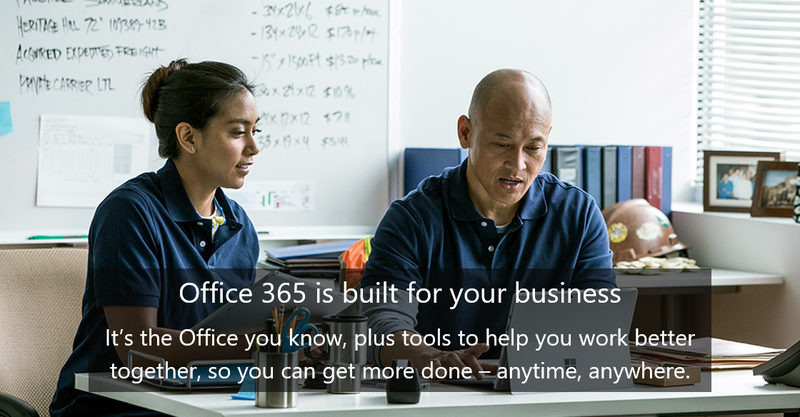 And Office 365 takes care of IT for you with 24/7 support, so your services are always up and running and up to date. 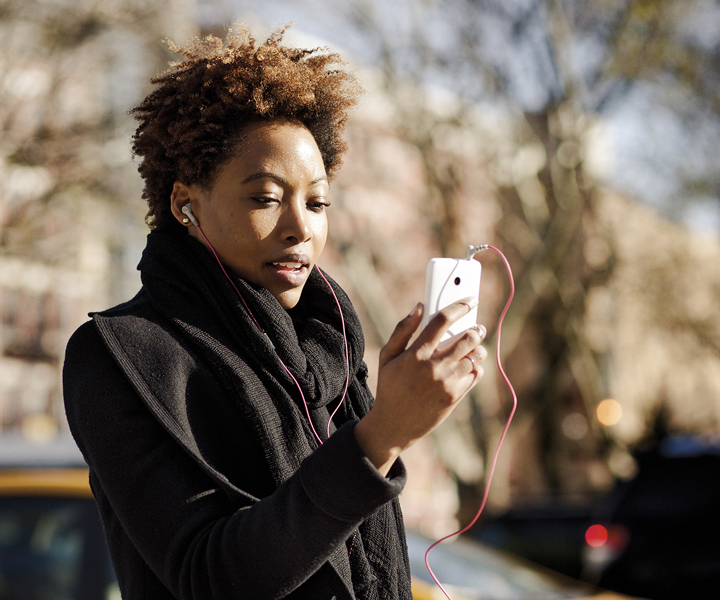 Email helps you start a conversation in a familiar place. With a group inbox, calendar, and conversation, teams can self-organize and keep work moving forward. 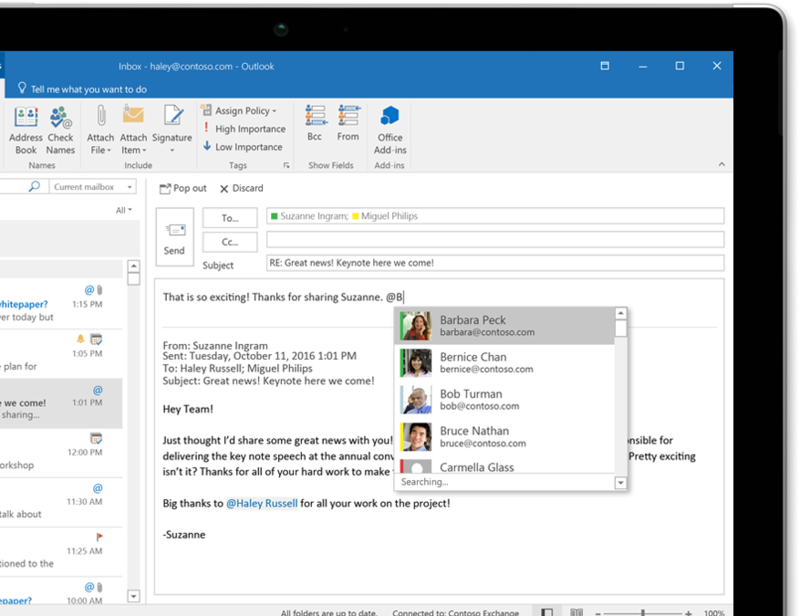 And they can share files as cloud attachments in email, and emphasize important conversations with @mentions. 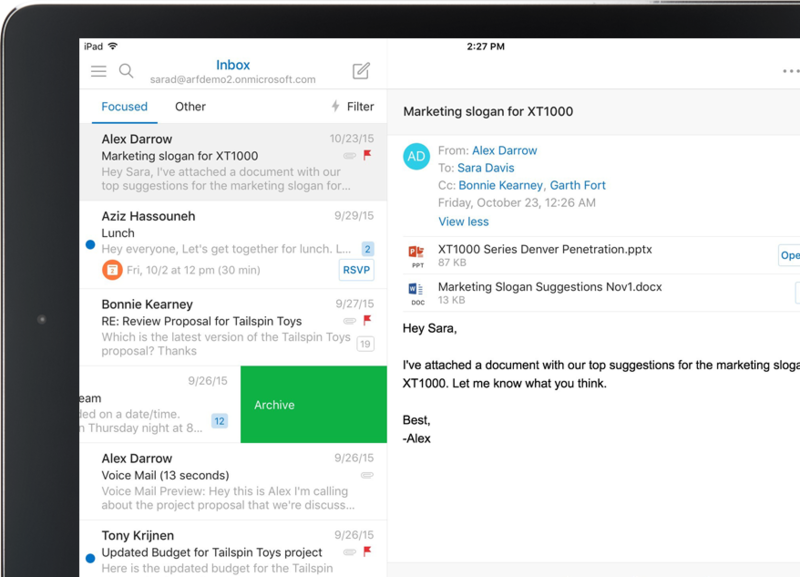 Connect your people to their content with file storage and sharing. Cloud storage makes it simple to store, sync, and share files so anyone can access them confidently and securely. 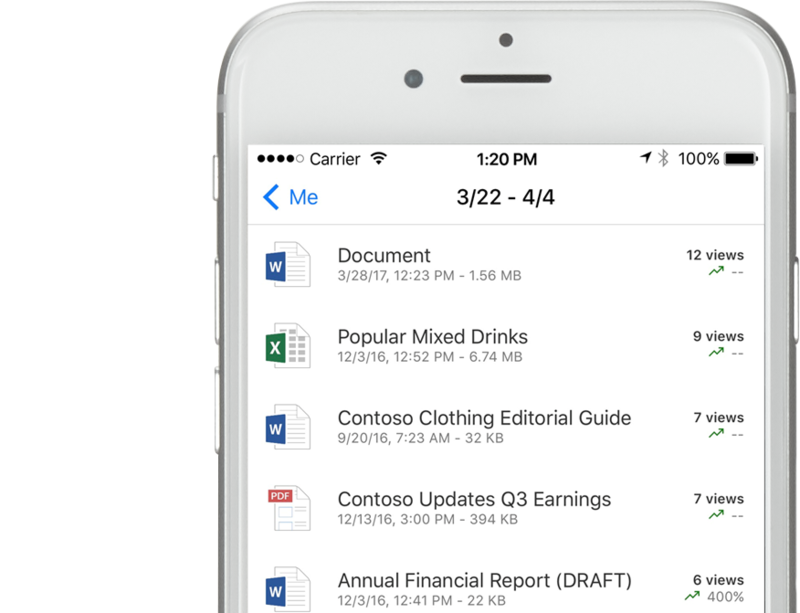 Manage shared documents and keep them at your fingertips no matter where you are with a mobile app that connects you to shared content. Call, meet, and engage remotely and in real time with online meetings that include audio, HD video, instant messaging, and screen sharing. For advanced, cloud-based communications needs, you can meet, call, and text across a vast array of audio devices and IP phones. 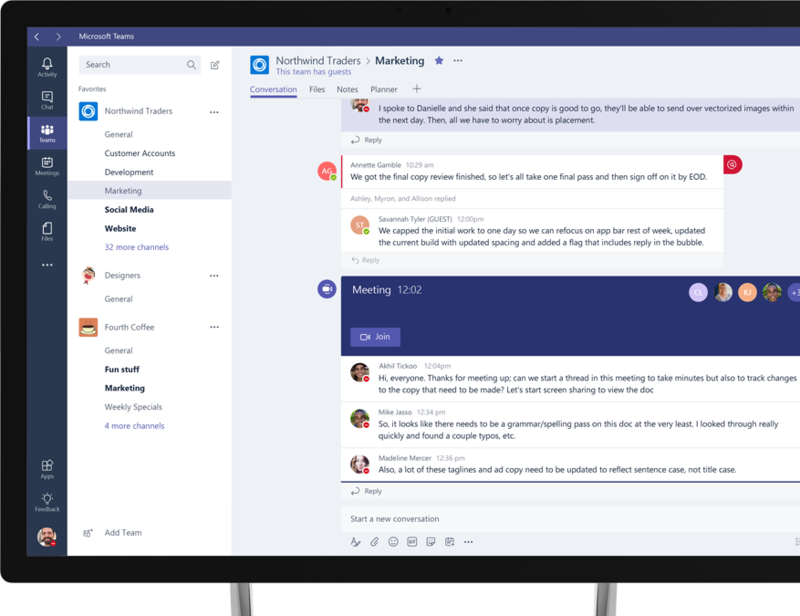 Microsoft Teams is a hub for teamwork with customizable options, security, and built-in access to familiar Office 365 apps. 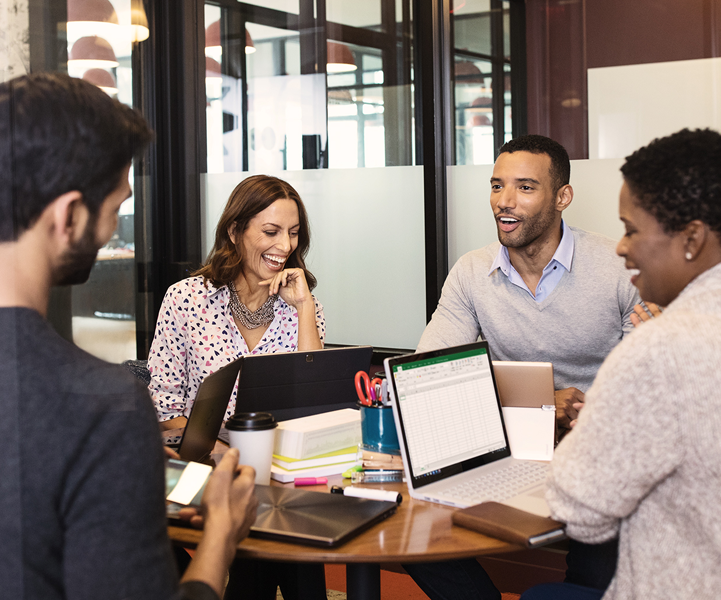 Bring together all your team’s chats, meetings, files, and apps so you can easily connect with people you work with on a regular basis on core projects. Best for businesses that need business email, Office applications and other business services.